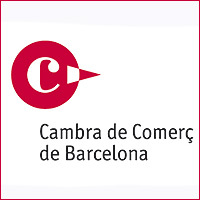 The next 13, 20 and 27 April (yes, it's the day of my Holy), I have the pleasure of giving this new edition of Course on Electronic Commerce and Digital Marketing offering Barcelona's Chamber of Commerce companies in their area. The course objective is to provide companies with the necessary training and the necessary tools to enable them to carry out successfully their e-commerce initiatives in the network. To do this, we have divided the class into 3 sessions of 5 hours each, in which students will have a computer each and which may be practicing everything that is learned in the course. Also, from the first day, students will be given the skeleton of a Action Plan Digital Marketing to go scoring and specifying in it, all actions are explained in class, but already adapted to your company. Thus, at the end of the course, the participant both in class and their own company, will have a concrete action plan to carry it out immediately. Key features of Electronic Commerce. legal aspects of electronic commerce. The 21 basic to drive traffic to a website and convert them into customers techniques. These techniques include SEO, SEM, advertising, web 2.0 tools, usability, etc. How to make a good action plan online. See you there. A hug.